The July race at Road America in 2015 was called The Hawk, after the sponsor by the same name that makes brake pads. 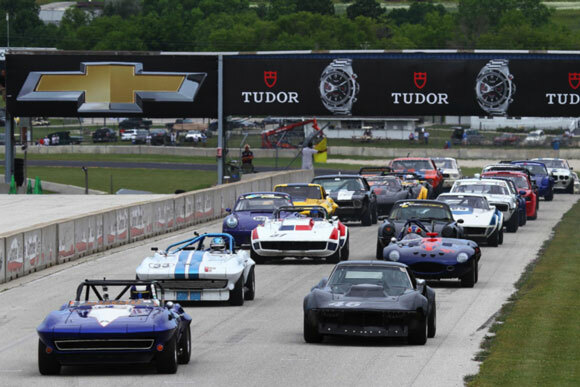 It is the biggest annual event at Road America and Duntov had a thoroughly forgettable race weekend. First there was the storm, and it was a big one. The guys with the rig across the track from ours knew a storm was coming so before they left the track the night before they strapped their awning down securely to their golf cart. When they arrived the next morning the golf cart was upside down sitting on their racecar, and the awning was gone. At least two dozen tents and awnings were destroyed. Our good fortune for the weekend was our spot in the paddock – we were parked on the leeward side of a building and suffered no damage. The Duntov crew came directly from Portland. Their mid-summer odyssey was Dallas to Portland to Road America to Dallas; 6200 miles in two weeks. They took Clair Schwendeman’s Corvette and Tony Parella’s Historic Trans-Am Camaro to Portland, but only Tony raced in that event. At Elkhart Lake, Clair drove but Tony didn’t! 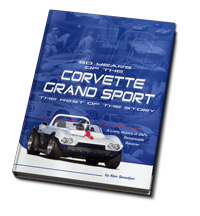 Rick Mancuso’s Grand Sport was delivered to us at the track for its driver, Chicago area Ferrari dealer Rick Mancuso, but Mancuso didn’t make it! We worked on the car, but it was never fired. 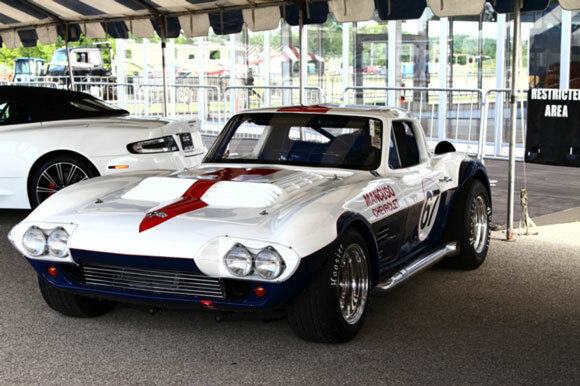 Our good friend Ron Ramsey brought his recently restored C2 Corvette roadster and asked us to look after it. 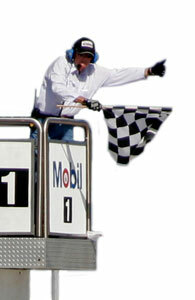 Ron showed up but his fuel pump failed, so he didn’t even make the grid. Our one competitor was Clair, and for whatever reason, Clair did not bring his A game to Road America this weekend. Had he run the July race as he had in May, it would have been close, but he never got it together. 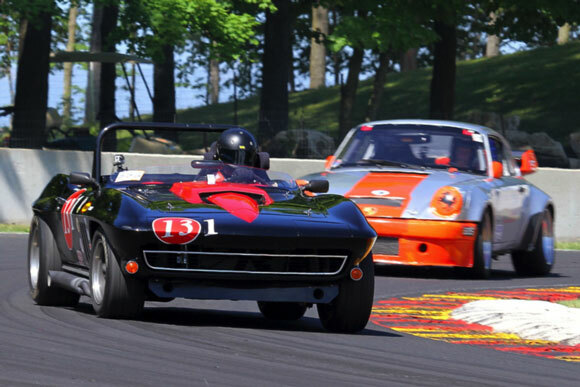 Clair had a race long dual with Larry Ligas’s Jag while the leaders slowly pulled away. Normally Larry’s Jag is not that much of a threat at Road America because of the track’s long straightaways, but this time Larry was able to stay just far enough ahead of Clair to avoid being passed on the straights. The start with Clair in his 5th place qualifying position. As always it was a crowded field and Clair didn’t get a clean qualifying lap. After that his race was in traffic. The next race weekend Clair made up for it!